Welcome to Ecstasea. 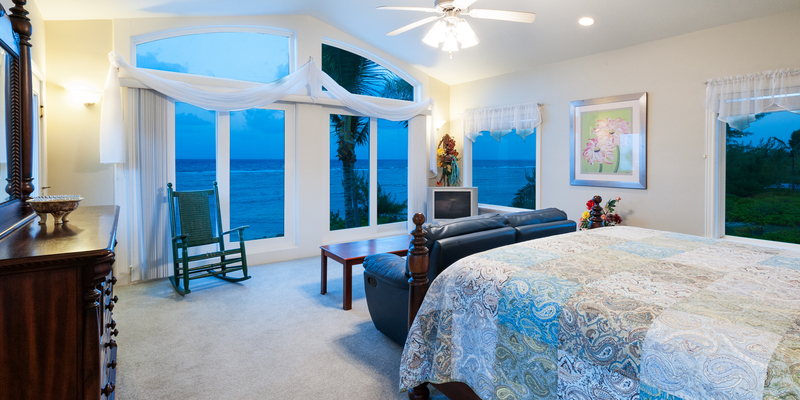 This two-story oceanfront villa is located on the north side of the island, approximately a mile east of the Rum Point Club. Nestled on a deep, stone-walled lot, Ecstasea provides guests ample space and privacy to spread out without stepping on each other’s toes. Add a secluded freshwater pool plus a sandy beach with great snorkeling and you have all the elements for a fabulous Caribbean vacation. 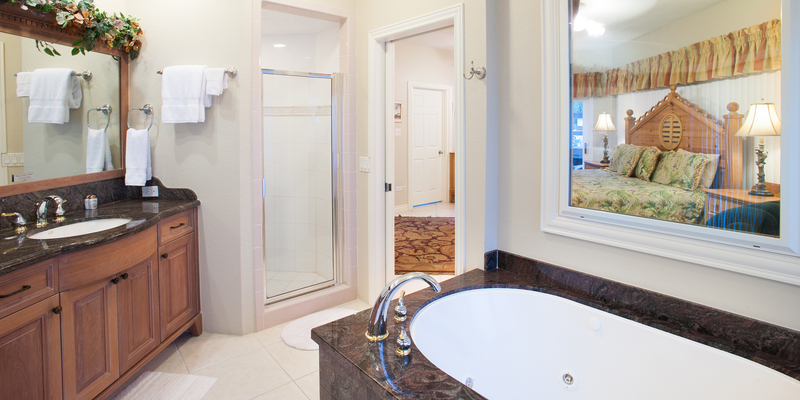 This spacious 5 bedroom home provides over 4,000 sq. ft. of living space within a unique octagonal layout that partitions the living areas from the bedrooms ensuring a peaceful night’s sleep for everyone. 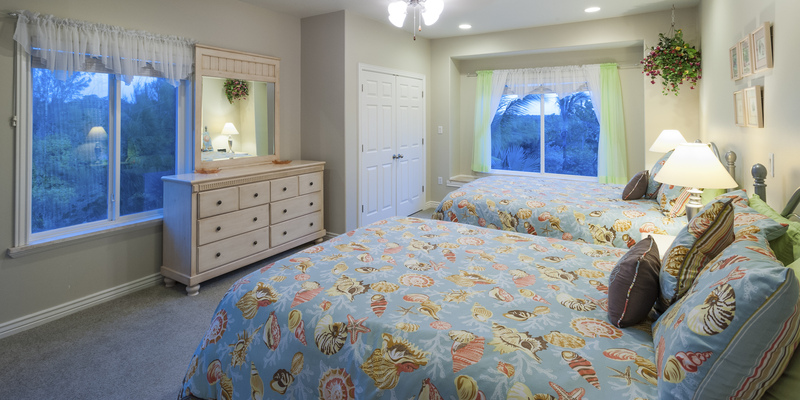 Ecstasea’s interiors have also been completely redecorated with comfortable decor and bright colors throughout. The villa’s unique octagonal living room provides panoramic ocean views of the Caribbean Sea from virtually every angle. With a beachfront sundeck and outdoor dining area, guests are sure to enjoy scenic views their entire stay. Located towards the front of the villa, Ecstasea’s freshwater pool is shielded from trade winds along the beach. 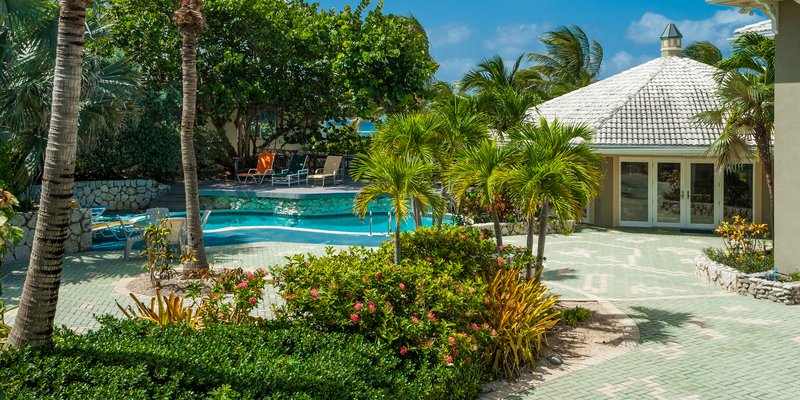 Lush tropical landscaping provides ample shade along the pool deck and refuge from the island sun. A raised platform overlooks the pool and is furnished with multiple patio chaise loungers and a charcoal grill for island cookouts. 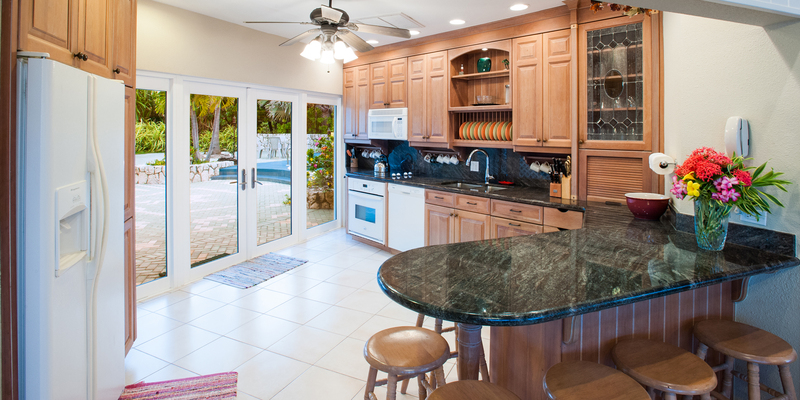 A full kitchen, complete with modern appliances, sits adjacent to the living area and opens out on to the pool deck. 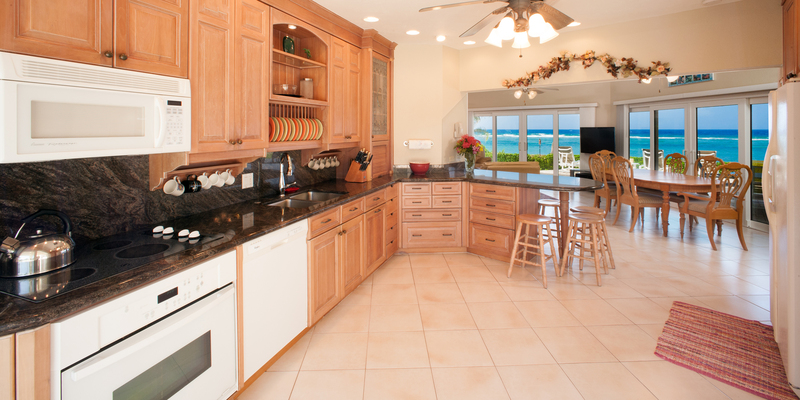 The kitchen’s ample counter space and breakfast bar seating is great for a quick morning bite before heading out to the beach, or a post-beach happy hour! 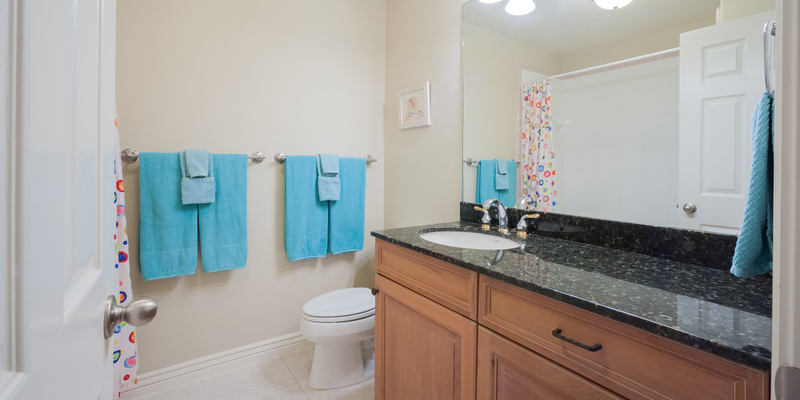 Dishes, utensils, cookware, a blender, and coffeemaker come provided. With both indoor and outdoor dining options available, if your group is in the mood for al-fresco dining or eating indoors under air-conditioning, everyone is sure to have a seat at the table. 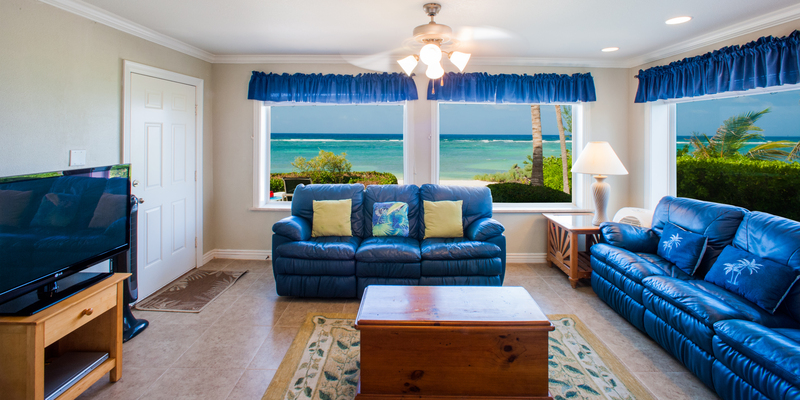 The big draw to this area is the proximity to the Rum Point Club, a public beach club that offers a fantastic barefoot beach, many watersports, a restaurant, bar and grill, gift shop, and pick-up beach volleyball games. Also nearby is the Kaibo Yacht Club restaurant, bar and marina. We had a great time. Jim was the man and was very helpful and prompt with his response. We will be back to do repeat business with Jim and Scott 100%! Perfect place for our family! Beautiful setting. This lovely and comfortable home on a white sand beach was the perfect holiday location for our family group of eleven - including two children . With the swimming pool and oceanfront ( and nearby shops and fun beach restaurants) we couldn’t ask for a better location. The house itself fit all our needs, so well equipped and with comfortable indoor seating too for evenings in. It really was exactky what I hoped for. 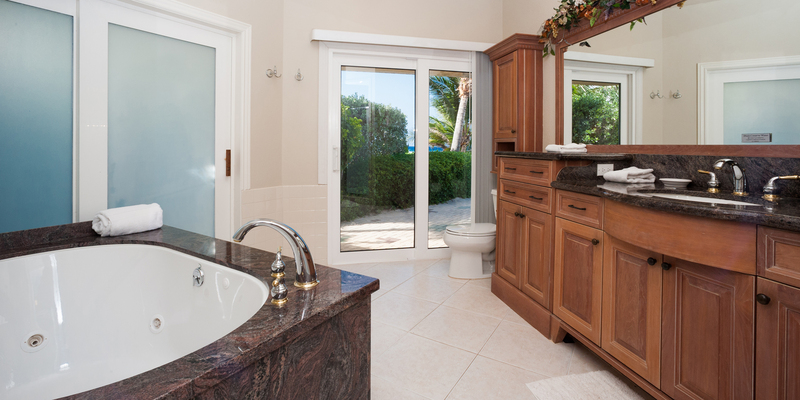 Above all I have to say Grand Cayman Rentals were a pleasure to deal with and helpful with every request. It was a holiday full of wonderful memories. Oh - be sure to take in the ‘starfish beach’ nearby or a boat ride to see the sting rays. Thank you for your kind words. Starfish Point is a wonderful spot, right! Great house, plenty of room and bathrooms and living space. Great beach, bring your water shoes, there is a lot of sea grass. Snorkling was nice, conch everywhere. Must dos: stingray city, starfish point, crystal caves, dinner at Kaibo Upstairs. 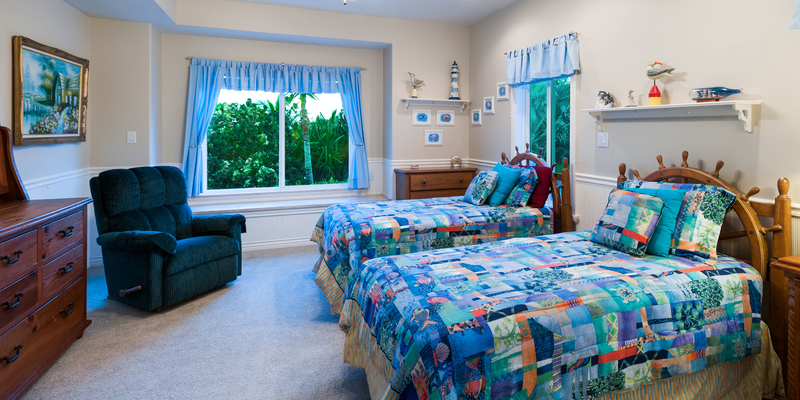 Very well suited for a family of 6 adult and 6 characters age 10 and under. We had a wonderful time staying with my family of 6 adults & 5 children at Rum Point in the 5 bedroom home called Ecstasea. 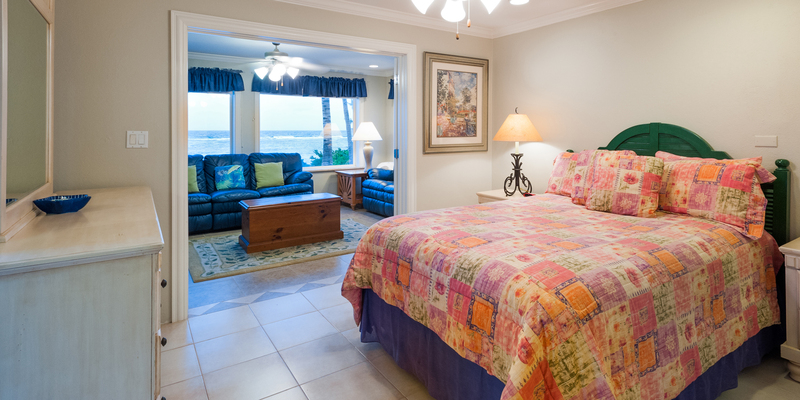 The bedrooms allowed all to sleep comfortably & the beautiful private pool & beach made the vacation special. The spacious dinning room allowed us to eat in multiple nights so we did not have to go out to eat each night. This saved money & we enjoy preparing our own meals. This location at Rum Point was very close to 2 special attractions: Stingray City & Starfish Point. We spent a morning visiting these 2 locations plus snorkeling on a private charter. These locations are a must to see when on the island. We did travel to 7 Mile Beach one day & the beach & water are fantastic. 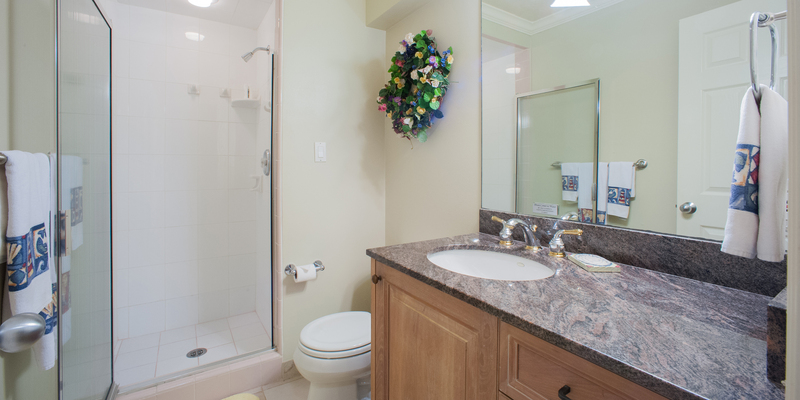 We however liked the quiet & privacy of our time at the beach & pool at the house even better. Barbara the property manger on the Island was very responsive to any issues that came up & visited us twice just to insure all was going well. Jim Leavitt at Grand Cayman Villas & Condos helped make this a really special week. I would definitely use Jim again to book future vacations. 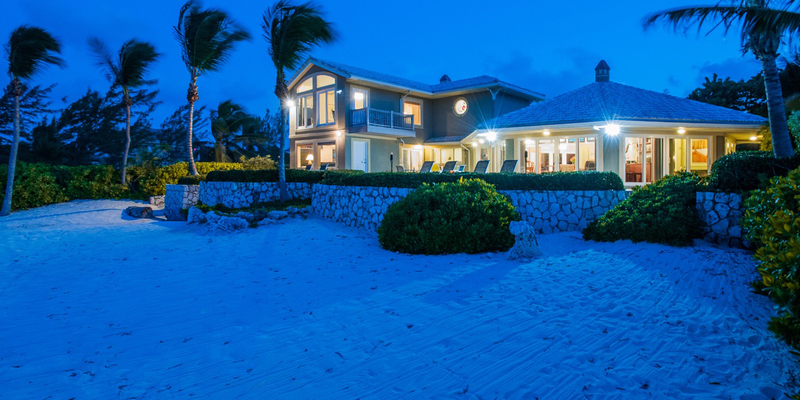 The house is at Rum Point near Stingray City & Starfish Point. Home allowed my family of 6 adults & 5 children to sleep in comfort. The pool was great and the few steps to our quiet beach & beautiful blue water made the vacation really special. If you want to stay away from the crowds near 7 Mile Beach this is the spot for you. The home was perfect allowing us to eat in many evenings in the spacious dinning room vs. going out to dinner each night. While we have had numerous family vacations over the last 20+ years, this is the first time it was not a resort. The property was very clean, nice beach and good lay-out for quiet time. Being on the Northside of Cayman Island, we rented a car, which I would highly recommend. It is helpful for quick trips to the local store, Kaibo Beach (dinner) and a day trip to 7 Mile beach. I would highly recommend this property and we plan on returning. After a week's stay at this property, I must say that our family truly enjoyed our vacation in Grand Cayman. 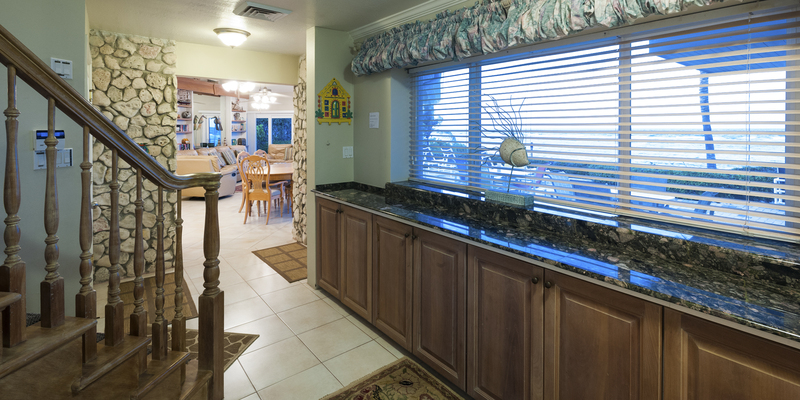 The house is perfect for our family and is very well equipped with everything we need for our vacation. 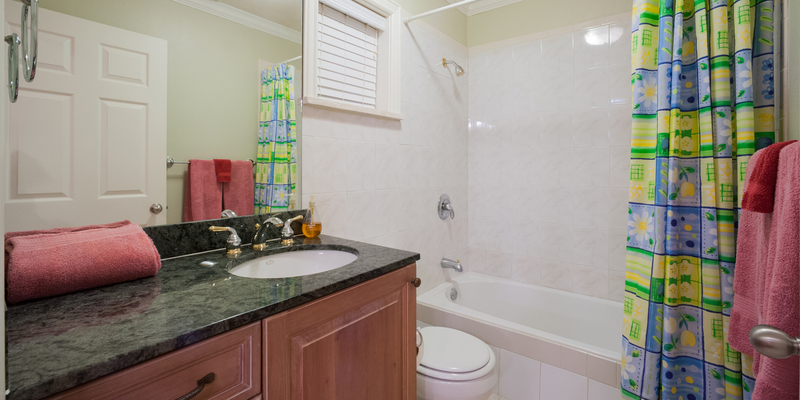 Plus, the location is very ideal, quiet and situated in a private property. We were spoiled having the luxury of our own private beach in our backyard. 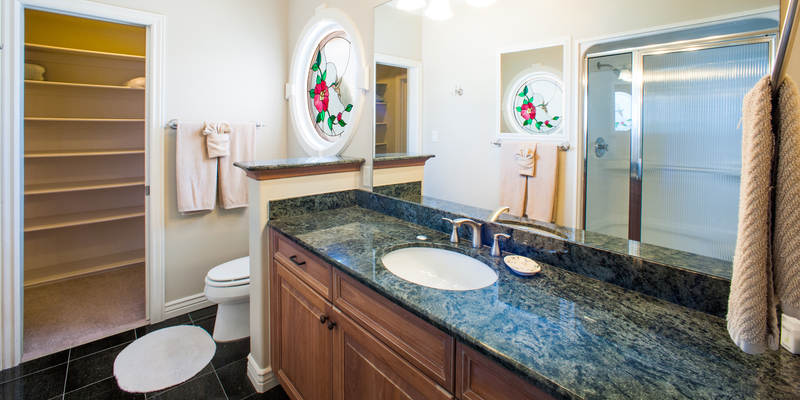 The property manager\'s response time is also very commendable, they took care of every details and concerns we had. Overall, this place was perfect and made our vacation even the most memorable. 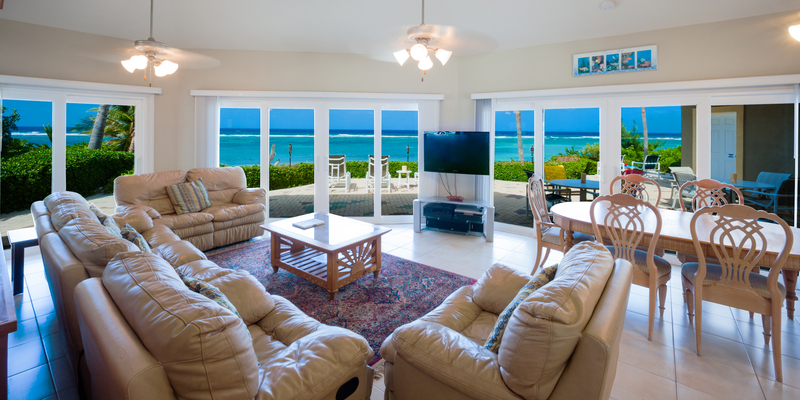 I would love to stay in this property again when we visit Grand Cayman in the future. 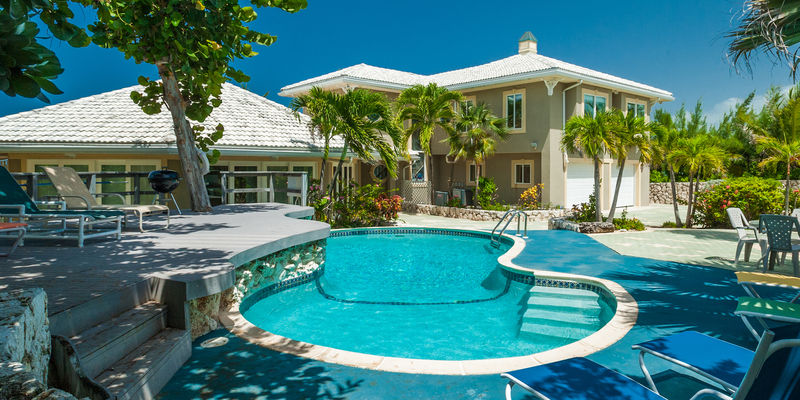 I find no words to better itemize our family's experience staying at this villa in Grand Cayman. Let me start with the view! 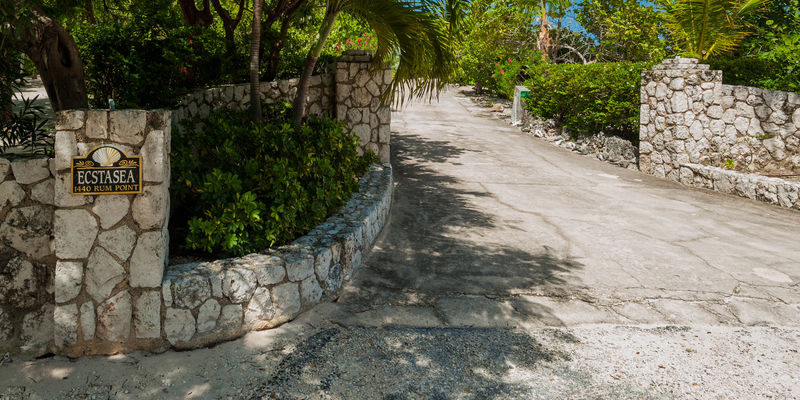 I love the location of this property, in Rum Point (North side of the Island). 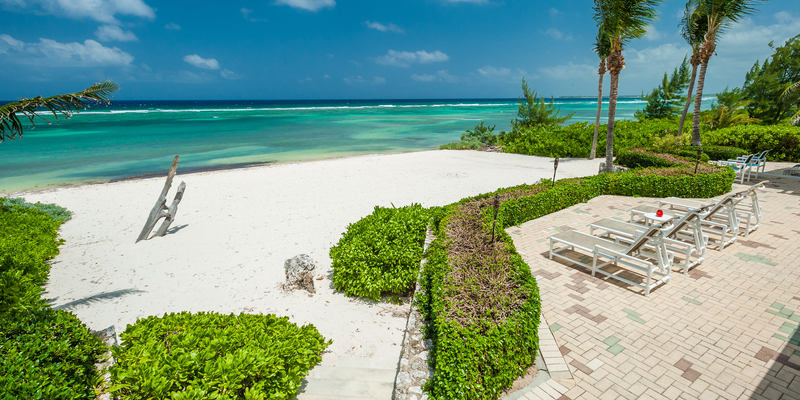 The property boasts the best beach right at it's own backyard! 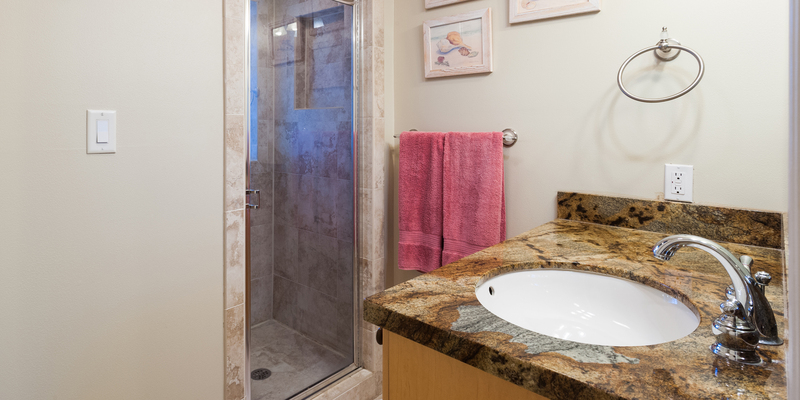 You'll have a great deal of privacy as the property is quite secluded in a long driveway from the street. We almost got lost trying to look for this place. 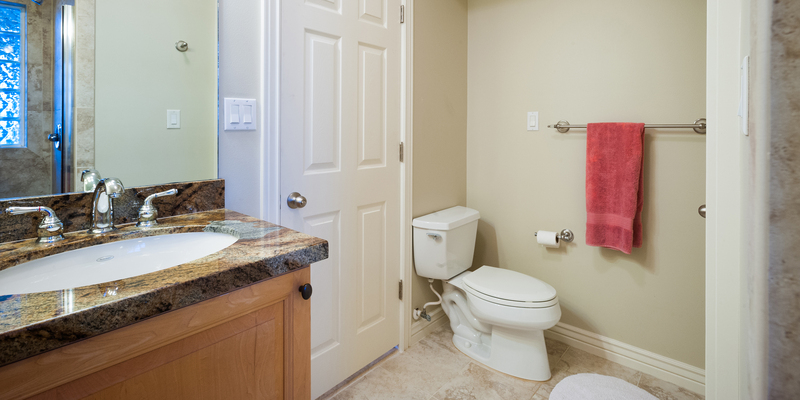 The villa is very well equipped with everything that you'll need and more for your vacation. 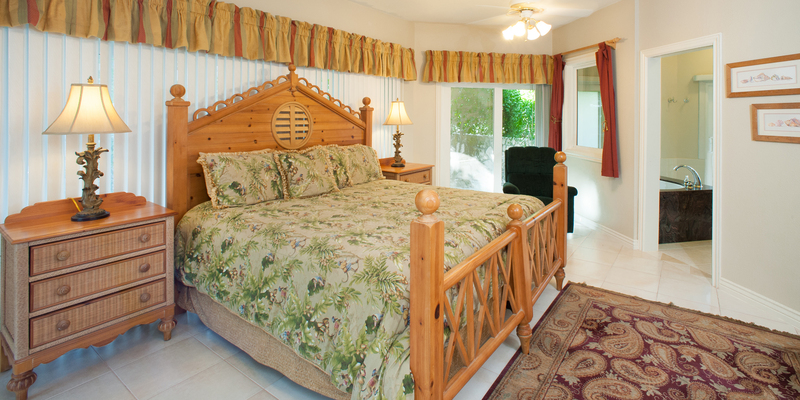 There are plenty of rooms to very well accommodate our family of 9. Plus, the manager of this villa (Barbara) responded in a very timely manner and made sure that every concerns and needs that we have are taken cared of as soon as possible. Staying in this property made our vacation one of our best travel experience and the most comfortable one to date. We stayed only for a week but I wish that we could have stayed longer because I really enjoyed staying in this villa. I will highly recommend this place to anyone who are looking for a big place with lots of rooms, well equipped amenities, best location, quality management and more! We were so excited about the home when we decided to rent it. But when we arrived, the home was even better. This home was paradise. The beach was a nice sandy beach and had been raked prior to our arrival. The water was nice and the snorkeling fantastic. Entry into the water was easy as there are no large waves there. The bedrooms were large and everyone had plenty of space. We ventured out to a couple restaurants for some nice dinners including Tukka, the Lighthouse, Rum Point and the Italian Kitchen. We found wonderful local lunch spots all over the island when we were driving around and all of them were fantastic. We really liked Big Tree BBQ in the east end... We didnt want our week to end! 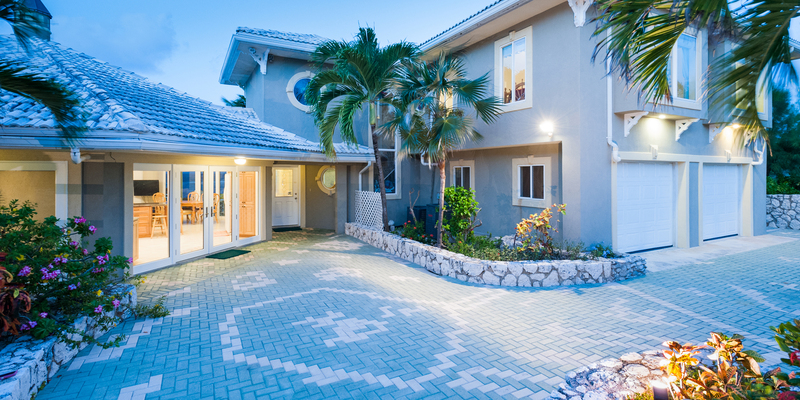 This was our 4th trip to Grand Cayman and this home was by far our most favorite. We will return. Thank you Scott and Jim at Grand Cayman Villas for helping our family choose the right home for us. Please call them if you are looking for a wonderful trip!!! From beginning to end this trip was wonderful. The search for the home, the follow up by Grand Cayman Villas and Condos, the suggestion of grocerys was close to effortless. 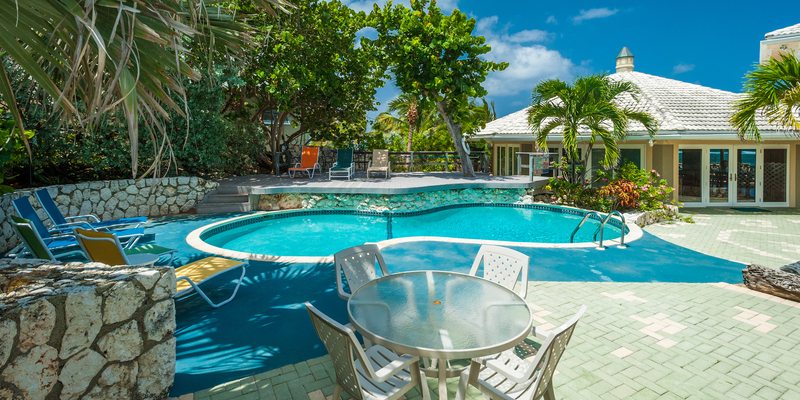 The home is beautiful,the layout fit our family perfect - 6 adults and 4 children under age 4, the location, the beach and close access to Rum Point for activitys was fantastic. Top that off with some good snorkeling 40-50 yards in front of the house is hard to beat.